1. Prior to tutoring, ask the parents if their child(ren) has any known behavioral issues – this is best accomplished by asking parents to fill out a survey that asks whether the student(s) has been to the principal’s office for behavioral issues, whether the student has ever been suspended for behavioral issues, and/or if the child is taking any medication for behavioral issues. 2. Be sure to have all current parent contact information including home numbers and work numbers – in addition to having parent phone numbers, ask for the phone numbers for a close relative who will be available in case the parents are unavailable like an aunt/uncle or grandparent. 3. Prepare your instructors to fully engage students throughout the lesson, stand and walk around during each session – children will often take the opportunity to misbehave when you have your back to them, if the instructor is standing, he/she can see all students at one time while physically maintaining a position of authority. 4. Set the tone at the first session – children are listening during that first session – they may not be behaving, but they are listening – it is crucial to set expectations for behavior, define poor behavior for them and clearly explain the consequences of poor behavior. 5. Reward positive behavior – ideally the students will be more interested in the rewards than the consequences. 6. Follow through – the first time a student misbehaves, follow through on the consequences. If other students see there are no real consequences to poor behavior, the group will be lost. 7. Escalate if necessary – if a student does not respond to either the positive reinforcement or the consequences of poor behavior, parents should be contacted immediately. If you can not reach the parents, then a home visit may be necessary. Be prepared to dismiss the student – parents are sending their children to your tutoring session to learn and if one student is disrupting the dynamics of the classroom by interrupting the learning process, the student may need alternative arrangements including one-on-one tutoring or dismissal from the entire program. Success in tutoring is defined as students making gains in the subject they are tutored, if those gains are hindered by behavioral issues, then success will remain elusive. In order to be successful, every education company that offers small group tutoring must address any behavioral issues in their small group tutoring. Tutoring companies using Oases Online to manage their business use the Document & Link library to provide their customers with documents to print, links to online documents or surveys to gather information about students. New & prospect customers can fill out an Oases Student WebForm to automatically save required data to Custom Fields in the student record, making data gathering and dissemination to tutors a fully automated task. 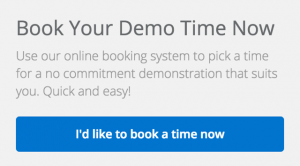 To find out more benefits of Oases please book a Demo using the link above.